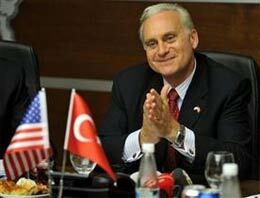 The Turkish Coalition of America applauds the vote by the Senate Foreign Relations Committee to support the continued service of Ambassador Francis Ricciardone as the United States Ambassador to Turkey. Ambassador Ricciardone has worked to strengthen one of America’s most important bilateral partnerships," said G.Lincoln McCurdy, TCA president. “Turkey is quickly becoming one of the most influential players both regionally and globally, and the Committee today recognized this in supporting the nomination of a highly qualified diplomat. We therefore encourage the Senate to hold an immediate vote to confirm Ambassador Ricciardone’s nomination.